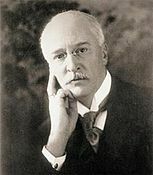 Mr. Rudolf Diesel designed the first diesel engine in Germany in 1893.He conceived it to be running on peanut oil (and not petroleum diesel as many would believe it to be) and designed it to be ran on mineral oil.His engine could take vegetable oil without any alterations being made on it.There is a visionary statement Mr. Diesel has said in 1912 in which he said that the rule of petroleum oil will perish and vegetable oils will come back to rule the world. The main disadvantages of using vegetable oil was that it was highly viscous.Fuel injectors could not spray it easily.Clogged fuel lines and vegetable oil gets solidified in to a mess at lower temperatures.The solution was to blend with petroleum based oil. The process of making biodiesel is called transesterification. 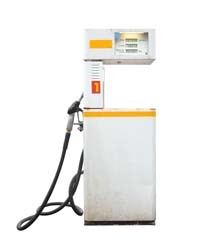 Vegetable oil is mixed with an alchohol and heated at a certain temperature to produce fatty acid esters.Sodium Hydroxide (NaOH) or Lye, a house hold chemical used in toilet cleaning solutions is used by some enthusiast to make biodiesel.Methanol which is the cheapest alchohol available used in hospitals to clean wounds can be used for biodiesel production.Alchohol is a damn expensive chemical because people drink it to lose their minds.Glycerol is a byproduct of transesterification.Since the advent of biodiesel production prices of glycerol has crashed,So not much use with the byproduct. Country will progress if we depend less on fossil fuels. As of now we are working hard to make OPEC countries richer and richer. 2. Many jobs can be generated due to biodiesel production.Farmers can live a life of dignity.Wastelands can be used to produce jatropha, rapeseed, soyabean oil,palm oil, coconut, mustard,sunflower etc. 3. Oil can be made from algae that invades our water bodies. 4. Actually biodiesel cleanse combustion chambers of your engine and remove all the dirt there.Your fuel lines will be cleaner.Initially it will clog the fuel filter parts upon suddenly shifting to biodiesel. 1. Politicians on the payroll of oil mafia say food security will be affected since people will be forced to do cash crop cultivation and will dump food grains. 2. Car manufacturers are not willing to give warranty for biodiesel used cars. 3. Older car has rubber fuel gaskets.Biodiesel may damage it. 4. Oil mafia will be hardly hit so business of such companies will be affected. Also if your car is an old one, you can do some alterations and make it running on Straight Vegetable Oil [SVO].In that case you can collect waste vegetable oil from restaurents filter it for removing fried particulates and use it in your car directly.